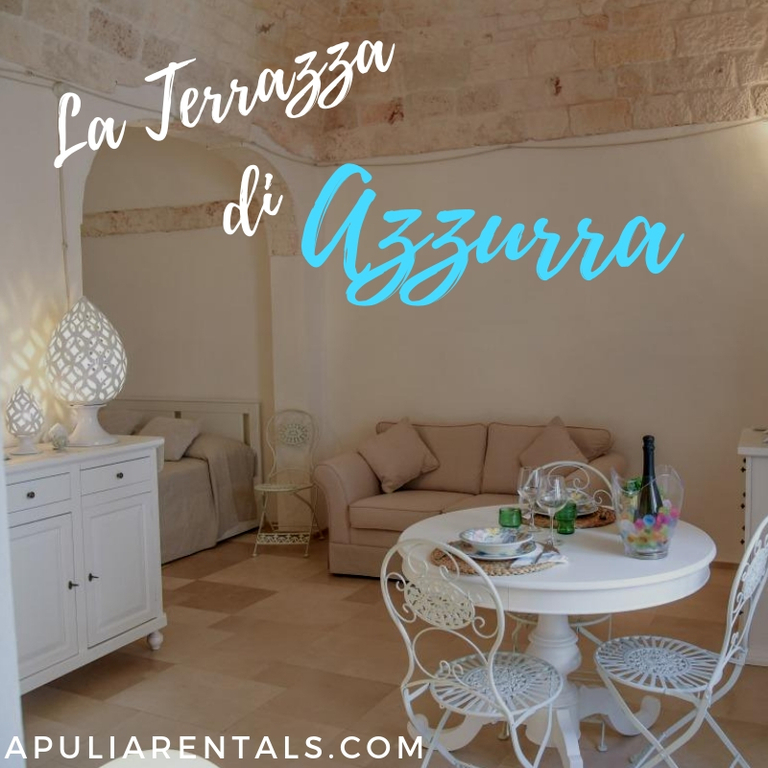 La Terrazza di Azzurra is a charming traditional residence for rent, located in a small alley of the old town of Ostuni. This wonderful detached house, has been recently renovated (2018) and tastefully decorated to make the most of the Apulian tradition without sacrificing comfort. Environments in stone, antique ceramics and vaulted ceilings make this house a charming and welcoming place . La Terrazza di Azzurra is on two levels: on the first floor, large living room with kitchenette, alcove with double bed, walk-in closet and large bathroom with shower. On the second floor another bedroom. Wonderful double terrace property from which you can enjoy a breathtaking view of sky, sea and ancient village. Linen and Towels, 2 Gas Cookers, Garden Furniture, satellite tv, air conditioner, INTERNET WI FI. Bari Apt 80km, Brindisi Apt 30km, Pub/Restaurants 300 mt, Shop 100mt, Banks 300mt, Hospital 5km, Station 3km, Brindisi Port 30km, Beaches 6km (Lido Morelli, Pilone, Rosa Marina), Golf 30km (Fasano - Coccaro Golf), Alberobello 30km, Cisternino 7km, Polignano 40km, Lecce 80km, Bari 80km, Taranto 70km.